Once you get a bunch of collar stays it can become quite a chore keeping them matched up. 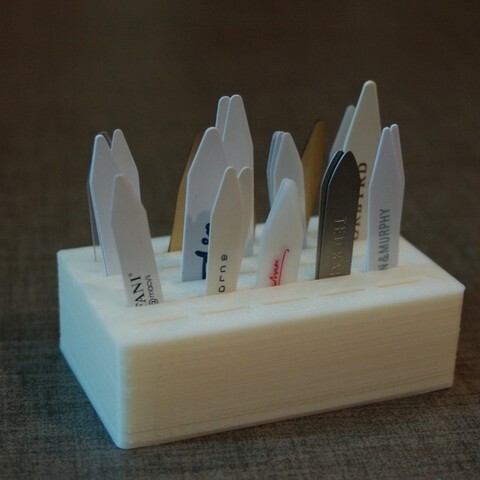 This customizer lets you create a holder for them. 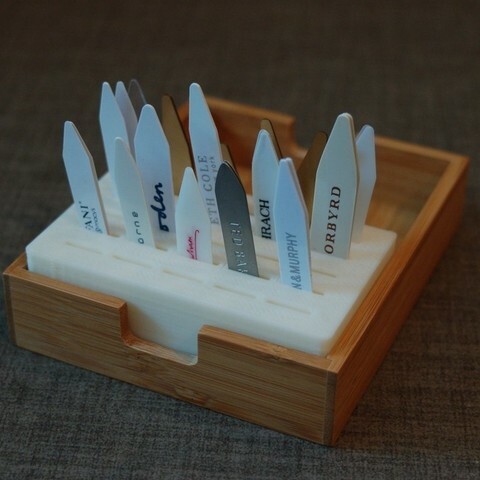 Simply indicate how large you want the holder to be and the customizer will distribute the appropriate number of slots in the box. Use the customizer to design the box. I printed my box using an infill of 15% since strength really isn't an issue. The slots are wide to fit my full range of collar stay widths. You should be able to get two collar stays into each slot. If they are thin you may be able to get four. I got the idea from Ginobi_wan's box, but I wanted one that would fit perfectly in a tray I have and my printer handles this simpler version better.